How to Compare Dive Destinations Effectively - Dive o'clock! 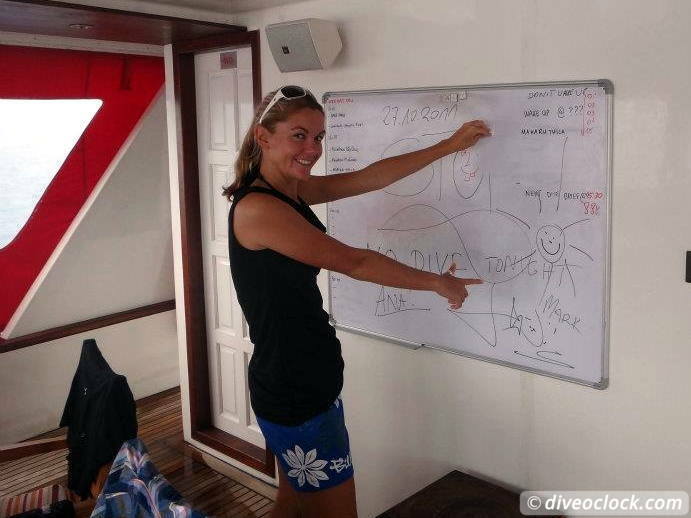 Valuable information about dive destinations is often hard to get. 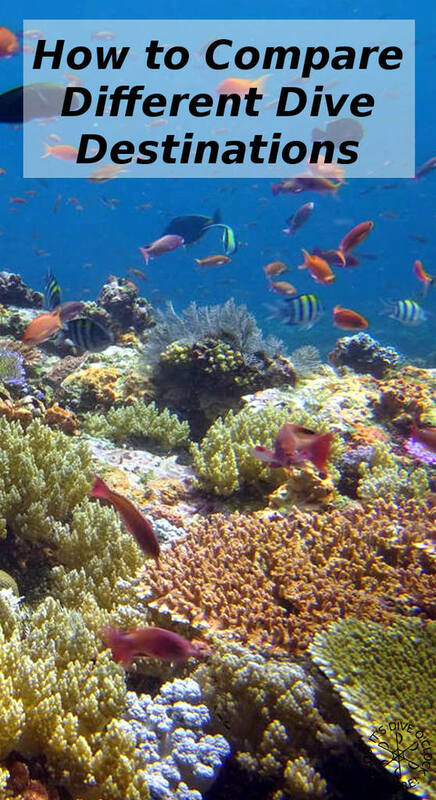 Seasons, weather and time conditions and migrating marine life create changing circumstances. Your own dive experience is another influencer. With this list it is easy to start comparing information. When you are choosing a dive destination it can be quite a challenge to get comparable information about the dive sites. Of course all dive centres show you their most amazing pictures about what you can see underwater. Manta rays and whale sharks are decorating many flyers and websites, but how big is the chance of an actual encounter? Often newly certified or less experienced dive guides will tell you something like "It is not an aquarium, we can not guarantee anything". One tip to tackle this: Ask how often they have seen them on the last 10 days of diving. Another completely valid question you can ask your guide is what you can expect to see underwater. Even though some dive guides think it is an annoying question and respond with something like: "Fish" or "Reef", it makes perfect sense to me to know what you are buying in advance. If you dive at a coral reef, it will be hard to find a site with less than 20 different marine life species that do not move away! As a fairly new diver you might not be able to know the difference between a Gorgonian fan and a Brain coral formation, but it does not take more than 1 minute for your guide to explain this... Seeing a Turtle might be hard to predict but if there are dozens of Parrot fish on every dive the dive guide can mention it. From my experience as a divemaster and instructor plus the details I normally check before selecting a dive destination myself I made the following comparable list. This list is incomplete and incorrect according to formal (Latin) fish families and species, because it comes from a dive instructor - not a marine biologist yet :) It is more based on dive briefings, things people often ask to 'see' and it gives you an overview without giving an opinion. It is fact based on the dives I made at that specific place, which is described in the text on those pages as well. * The light blue boxes are the things the dive center points out as available but I have not seen on my dive/dives. Blue (no reef), drop off and wall dives dives can be quite frightening if you are less experienced, talk to the dive center if you wish to do this. If there is a strong current there is a bigger chance of pelagic (big stuff) and more soft corals, but it is also more challenging and colder to dive. Often not for less experienced divers. What I mention as a small current can be quite a challenge if you are not used to current diving. Always wear long skin- or wetsuits due to stingers like jellyfish. More info: SCUBA Quiz: Wetsuit selection. Please let me know if this table is useful and/or if you have suggestions! 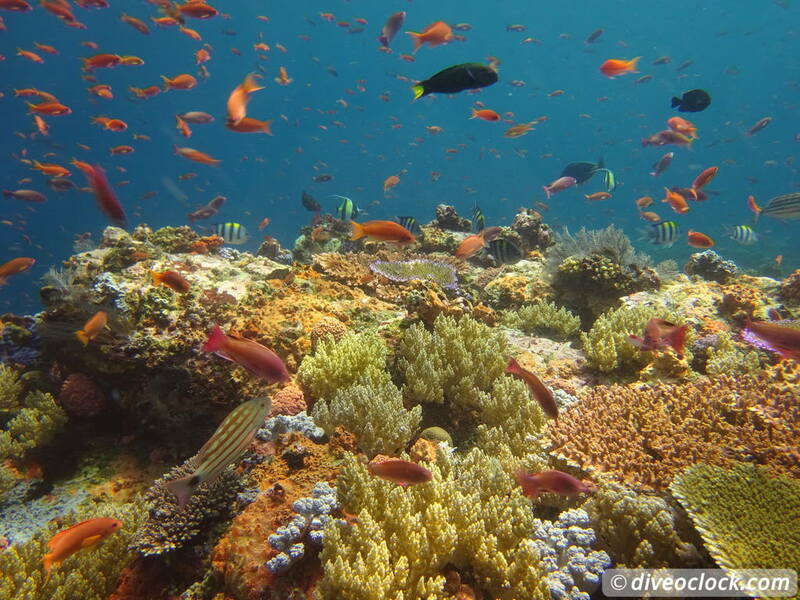 Continue with comparing Dive Destinations you find interesting for your next holiday. of space for writing the things down YOU find important! The 7 Best SCUBA Diving Destinations for Beginners!